Colorado Motorcycle Expo January 31st and Feb 1st at the National Western Complex! 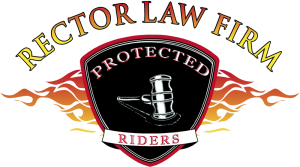 Come see the Rector Law Firm Protected Rider booth and register for our Guardian Bell giveaways! “The Colorado Motorcycle Expo (CME) is one of the largest motorcycle events in the country! It’s several motorcycle events rolled into one great weekend. And best of all, everything is included for one ticket price! WHAT A GREAT AFFORDABLE WAY TO SPEND THE DAY! By Carrie Bush|2019-01-22T20:31:23+00:00January 19th, 2015|Categories: Event, Motorcycle, Protected Riders|Comments Off on Colorado Motorcycle Expo January 31st and Feb 1st at the National Western Complex!